Located an hour north of Albany, New York, we have had Deerhounds since 1994, and bred our first litter in 2000. 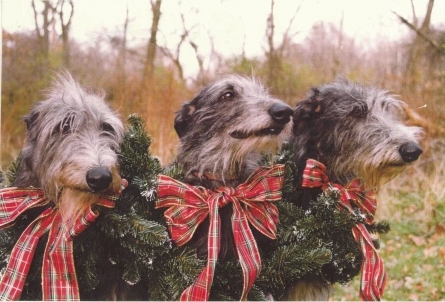 We are active in many areas of the Deerhound community, and welcome newcomers to the breed. Wander through our web site, meet our hounds (and us! ), and get to know a bit about this wonderful breed. All pages copyright Lynn Kiaer. Please note that all photos on this site remain the copyright of their owners, and may not be used without permission.